We have Smart Faucets! These sweet little gadgets save about 15,000 gallons of water a year according to the manufacturers and are good for people with arthritis and for small children. For more information, pictures of the Smart Faucet, and to order one, go here. The open house introducing our Community Cottage project was amazingly successful. Lots of people came out to look at the houses, and we came away with a lot of interesting feed back to think over. Did you miss the open house or drop by every day to chat without getting through all of your brilliant ideas? Have something to say? Great! We are STILL looking for information and feedback from the community. Take our surveys to help us answer questions that are of potential interest to the Islands Trust and to help us come up with and solidify policy that will work for everyone. Take one survey, take two, take as many surveys as relate to you! We're looking for things that you may already have! 1. Clumps and shrubs of deer-proof plants for Grandma's House. 2. Small apartment-sized fridges for Community Cottages and bed sitting rooms. 3. Small appliances (wood stoves, water heaters) of any kind for Community Cottages. 4. Curtains - bigger is always better - for new buildings and renovations. 6. A Barn for storing donated items. • To increase and maintain the supply of housing that is truly affordable for people of low to moderate incomes, in order to ensure diversity in our community. • To use these lands for other community benefits where appropriate. • The Land Bank may work towards these goals, on its own or in collaboration with other entities. 2011 - Community Cottages “Pilot Project” Completed 2 cottages for 55+ and those with disabilities, needing safe, warm shelter. 2011 - Brackett Spring Family Housing - 8 densities on Rainbow Rd. 2010 - Home ownership rezoning started for 4 to 5 town houses. (On hold till 2013). 2007 - Secured 111 Lautman Dr for affordable housing for seven people. The building is owned by BC Housing and run by SSI Community Services. 2006 - Purchased a new Grandma’s House as a Transition House for homeless men in a ‘dry’ safe and secure atmosphere. Lease to Victoria Human Exchange Society (VHES), a charitable society in it’s 15th year on SSI. Energy retro-fit and full height basement for suites added in 2011. 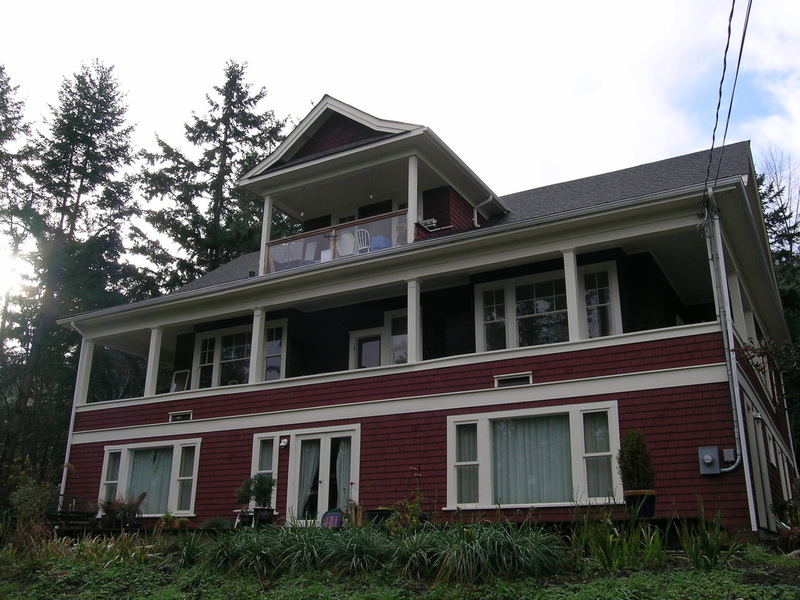 2005-Present - Purchased and renovated the Dean Road House, a heritage house that has had it’s heritage values maintained and houses 12 individuals. Operated by The Land Bank. Land and housing protected under the umbrella of the SSI Land Bank ensures safe and affordable housing for Islanders. Diversity is the benchmark for sustainability. Ensuring a diverse range of housing options helps support a stable community. The Land Bank supports the idea of a diverse range of housing options from shared rental occupancy to home-ownership, stand alone to attached, standard designs, creative alternatives, recycling houses and ‘green’ initiatives. The Land Bank works with private property owners, NGOs, governments and their agencies, advocates & those with business interests to create safe and affordable housing for the island. Home should be a place that families can afford, where people can pursue their dreams, where relaxation is possible, and, particularly on Salt Spring, where nature is near. The Land Bank believes that these factors contribute to individual health and therefore a healthy, vibrant community. Salt Spring Land Bank was incorporated as a non-profit society in BC in December 2004 and a registered charity in July 2006.